As Human Beings, we wake up in the morning and go out to work, to school and to other various destinations almost everyday but if we should think about it properly, we'd see that we do almost everything we do (directly or indirectly) in order to be successful and rich (although some of us don't want to be filthy rich while some want to be). As far as am concerned, the desire to be rich always flow in our mind but at the same time, there are so many people up there who are already on the top spot of the richest people in the world. 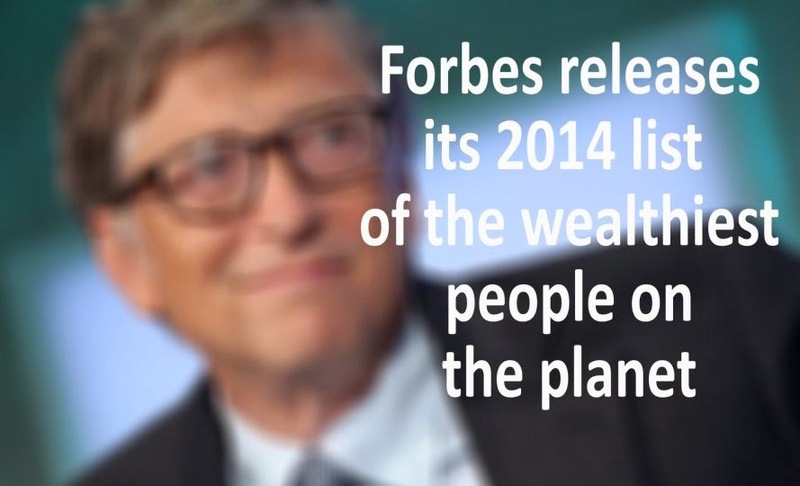 Do you think you can pull them down and make the list of the world's richest ? What do you think about this list ? Hope you noticed that most of the world's richest are from the United States of America and most of them are in the Online, Internet and Tech Related category. What other things do you noticed about this list ? Feel free to drop your comments & contributions by making use of the comment box. Kindly share this interesting article with your friends by using the share buttons below and don't forget to subscribe to our free email updates in order to receive our upcoming posts directly into your mailbox. Have a wonderful week, Cheers !!! When Ever I view this list of Richest persons in the whole world I will be motivated. By His grace we shall get there. Nice One Eze, The Sky is just the starting point for you Bro... Goodluck !! !